Las Vegas, NV, November 24, 2017 –(PR.com)– The Injured Police Officers Fund (IPOF) receives a $25,000 grant from Cox Communications of Las Vegas. 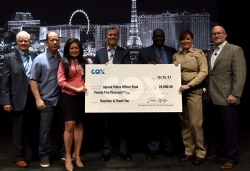 Top officials from Cox made a check presentation on behalf of the Company’s 1,550 Las Vegas-based employees to representatives of IPOF during the opening of a national Cox Care and Field Leadership Summit at Encore Las Vegas on Oct. 25, 2017. Michael F. Bolognini, Vice President and market leader of Cox Las Vegas, said, “The employees of our organization are making this check presentation as a way to express our gratitude for the valor, courage and selfless sacrifice of the law enforcement community in the wake of the somber events of the October 1st Route 91 concert tragedy. Our thoughts are with those who provided great service to our safety and well being." 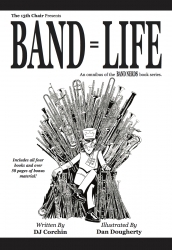 You can help the IPOF by making a tax-deductible contribution through their website https://ipof.vegas. Or contact us for more information at [email protected], via telephone at 702-380-2840, or via mail at 9330 W. Lake Mead Blvd. Suite 130, Las Vegas, NV 89134. The mission of the Injured Police Officers Fund is to help reduce the financial burden suffered by Police Officers and their families in the event of a line of duty injury or death by providing monetary assistance to these Officers and their families. The Injured Police Officers Fund (IPOF) was formed in October of 1982 when LVMPD Motor Officer James MacLaren was shot in the head during a traffic stop. Fortunately, Officer MacLaren survived his injuries however; he was forced into medical retirement.